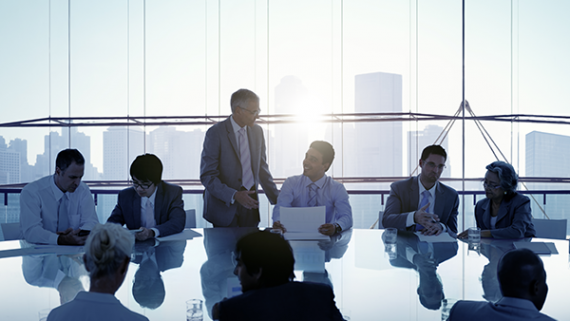 Our mission is to apply our knowledge and experience to help our clients achieve profitable and sustainable growth. 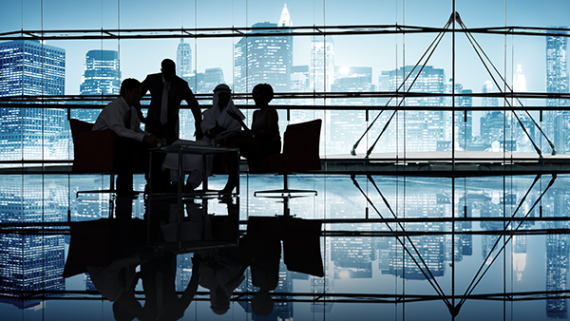 to sustainable growth and increased competitiveness in today’s challenging environment. 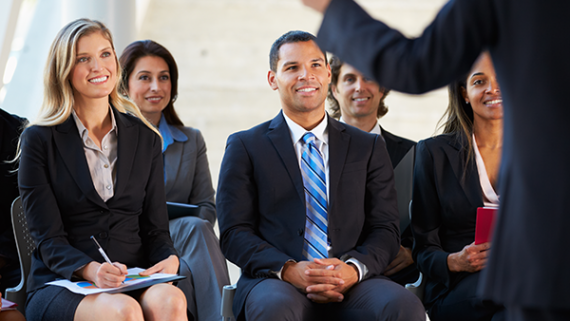 A&H in-house seminars are a key element in achieving that success. 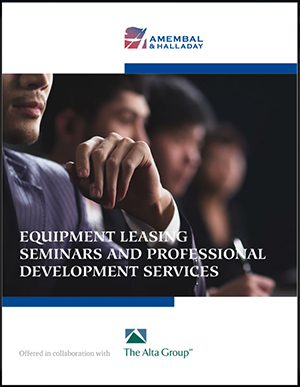 Equipment leasing is a complex industry, and those who fully understand how leasing works will be the most successful. Choosing to invest in an A&H program is the best way to give you that competitive advantage! 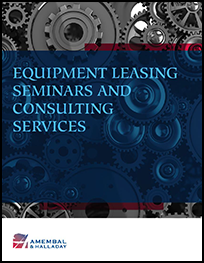 The equipment leasing is becoming increasingly more competitive, so today’s lessors not only need to know what elements are critical to success, but how to put those elements into practice. Click on the images below to download our brochures; on the left, for the USA; on the right for International.